(TibetanReview.net, Apr11, 2018) – While Confucius Institutes, run and funded by the Chinese government in universities across the free world, face severe criticism and have even been forced to close down for infringing academic freedom and promoting propaganda, Scotland’s First minister Ms Nicolas Sturgeon is spending her own government’s money to invite Beijing to run such institutes. On the first day of her visit to Beijing, Sturgeon announced £745,000 of new funding for the controversial language learning programme which is sparking growing international concern over academic freedom and propaganda, reported heraldscotland.com Apr 10. 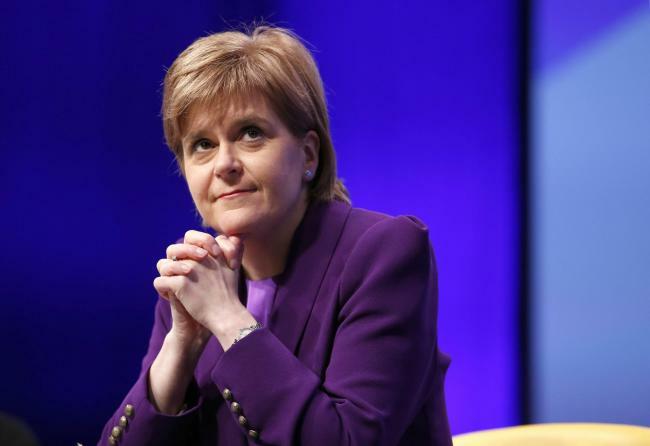 With the agenda of trade and investment for her visit, Ms Sturgeon has said the new money for Confucius Institutes would help more young Scots improve their Chinese language skill. The report noted that her announcement came despite the fact that academics in America, Canada, Sweden and other countries were ending their relationship with Confucius Institutes, whose teachers are under instruction to stick to party lines on keystone issues like Tibet and Taiwan. The report pointed out that as long ago as 2011, China’s Politburo member Li Changchun had described Confucius Institutes as an “important part of China’s overseas propaganda set-up”. The report also pointed out that last month the United States had ordered Confucius Institutes to register as foreign agents, and announced they were under FBI investigation. Also, last week Texas A&M became the latest US college to terminate a deal with the Confucius Institute after two local Congressmen, a Democrat and a Republican, declared it a “threat to national security”. Unfortunately, however, the culture, history and language that the Confucius Classrooms teach are doctored and censor truth to glorify a brutal dictatorship that jails and tortures human rights advocates and activists and anyone else who disagrees with any aspect of the government’s policies and actions.